Rings Type: Wedding Bands Or Rings Setting: Hand Setting, Bezel Setting, Wax Setting, Etc. Gender: Girlfriend's, Wife's, Mother's Occasion: Engagement, Wedding, Anniversary, Gifts, Etc. Fine Jewelry for wedding party 2015. 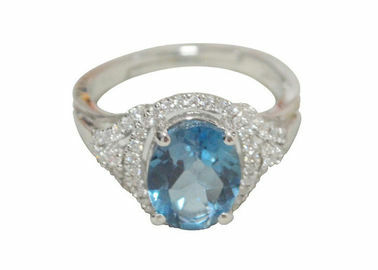 925 sterling silver with AAA zircon or Rhinestone in different colors. Sterling silver with long lasting rhodium plated, can meet different standards of environment. We accept the requirement of Personal name or logo engraved inside the ring by laser. AAA Zircon, Rhinestone, crystal, etc.